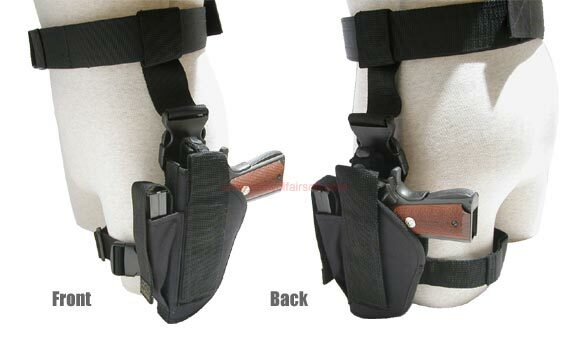 Heavy duty nylon thigh holster can be configured for both left and right hand usage. Medium sized takes standard pistols including Beretta, Glocks, etc. Includes magazine pouch for spare pistol magazine. Note that pistol, magazine, and belt are for illustration only and are not included.